It's hard to distinguish fact from fiction among all the talk surrounding nutrition. However, one confirmed fact is that vitamin A is good for kids! Vitamin A is one of several major vitamins required for health. According to the National Institute of Health's fact sheet, vitamin A promotes everything from healthy eyesight to a healthy immune system. Listed below are facts about Vitamin A, including how it functions in the body. Vitamin A is naturally occurring vitamin. That means it is available in the foods you eat. It is scientifically known as preformed vitamin A (retinol) or provitamin A (carotenoids). Vitamin A promotes vision by assisting in night vision and relaying messages to the brain. This is important for playing outside at night! It helps build strong bones, hair, nails, and skin. Vitamin A helps prevent you from getting sick by supporting your immune system. Vitamin A helps create new cells in the body, also known as cell differentiation, which helps you grow bigger and stronger. 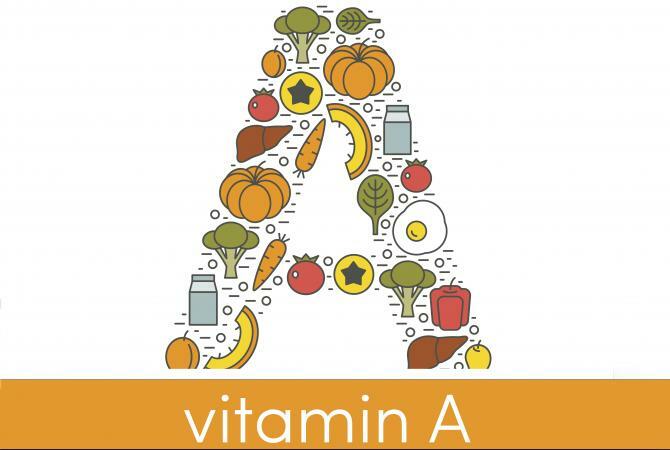 Vitamin A is important for anyone's health, but especially for kids! Bone growth and cell division are rapid in kids and if there is a lack of vitamins and nutrients, malnourishment and other health problems can happen. How Much Vitamin A Do Kids Need? Babies ages 0 to 6 months need 1,320 IU or which is in about 3/4 cup cooked spinach. Infants ages 7 to 12 months need 1,650 IU, which is in about half of a sweet potato. Kids ages 1-3 years need 1,000 IU of vitamin A, which you'll find in 2 cups of skim milk. Kids ages 4-8 years need 1,320 IU. There's that much in 1/4 cup raw cantaloupe. Kids ages 9-13 years need 2,000 IU of vitamin A, which is in a little over 1 cup of raw carrots. Most doctors say you should take vitamins to make sure you're getting plenty of vitamin A. Kids shouldn't take more vitamin A than the RDA unless your doctor suggests you do and monitors you. If you get too much vitamin A, you could get really sick. When you regularly don't get enough vitamin A, your body doesn't always have enough stored, which could also make you sick. Vitamins are not candy even though they may taste like it! Only take the recommended amount or you could get ill. Supplements are a great way to get all of your necessary vitamins. However, always check with a doctor before taking any type of vitamins. Some ways to make these foods taste delicious is by boiling carrots until soft and mashing them like a potato, making a fruit salad with mango, papaya and cantaloupe, or having oatmeal for breakfast. There are many ways to get vitamin A through the foods you eat. Toxicity from food sources of vitamin A is very rare. If taking vitamins, take a safe level by never going over the RDA's listed above. Just like any other nutrient, kids can be deficient in vitamin A if you are not eating the right foods or taking vitamins. Deficiency is rare among kids born in Western societies like the USA. Vitamin A deficiency is much more common in developing nations where kids don't get a variety of foods. Children deficient in vitamin A can develop vision problems, blindness, and skin problems. The World Health Organization states that 250 million preschool children around the world are at risk of not getting enough vitamin A. Deficiency can be prevented by consuming foods high in vitamin A or taking vitamins. In Western culture, vitamin A deficiency is uncommon. However, around the world, many children are being treated for it. Vitamin A provides many health benefits, such as bone growth, immunity, vision, and much more! 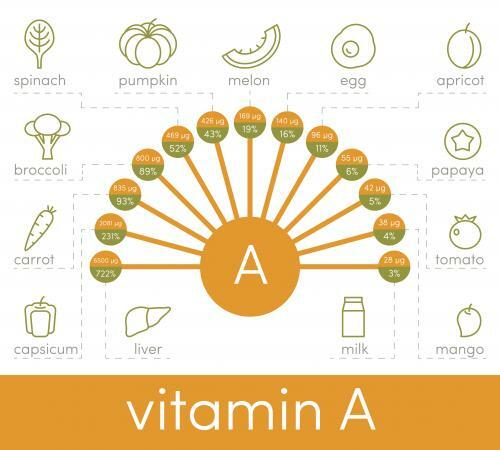 You can find vitamin A in many foods, so there are sure to be some you can enjoy. With a varied diet, you are likely to get plenty of this important vitamin through food sources, but if you need supplements follow the guidelines your doctor gives you. What Supplements Are Best for Gaining Weight? By Erin Coleman, R.D., L.D.